Aged roofing systems are characterized by their worn-out appearance. While some homeowners find this unimportant, aged roofs do more harm than good. They increase energy bills due to reduced airtight insulation and UV protection. Leaks occur as well as other types of damage, affecting both the aesthetic and physical quality of your roof. This is where you’ll need our roof tear-offs and remodeling Saint Clair Shores services. Miller’s Home Improvement aims to provide a roofing solution that lengthens the lifespan of your roof in St Clair Shores, guarantees its prolonged durability, and improves the overall aesthetic of your property. When Do You Need To Get Your Roof Torn Off? An Increase in Curb Appeal – An aged shingle roof with missing components and dented, discolored tiles is not appealing when a person looks from a street to the property. Comprehensive roof tear-offs and remodeling Saint Clair Shores will improve not just the looks of the property but also its estate value. A Boost in Property Lifespan – Roofs are most affected by extreme weather conditions and changing temperatures in St Clair Shores. Aged and damaged roofs decrease property lifespan by becoming the weakest link in all the sides of a home. A remodel or replacement service improves the entire lifespan of the property. Why Trust Miller’s Home Improvement For Your Roofing Projects? We are one of the most dependable roofing services for residential and commercial properties in St Clair Shores MI. Having served the city for over 30 years, we are confident in providing the best replacement or remodeling project for your property. Miller’s Home Improvement is all about providing value. Every recommendation we provide aims to improve the overall condition of your existing roofing system. 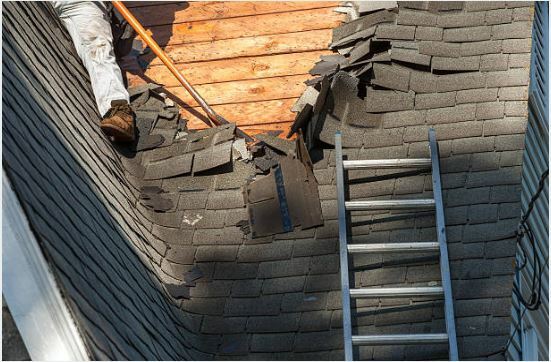 We take pride in the quality of our roof tear-offs and remodeling Saint Clair Shores service. As proof of our dedication to our superior workmanship, we provide lifetime warranties on our roofing projects and materials. In addition, Miller’s Home Improvement provides FREE consultation and inspection of Saint Clair Shores roofs regardless of the project. Get your no-obligation quote today by calling this number: 248-242-0820.